And it shall come to pass, that the man’s rod [matteh – branch], whom I shall choose, shall blossom: and I will make to cease from me the murmurings of the children of Israel, whereby they murmur against you. Continuing: when the LORD finally speaks to Job He does it from the whirlwind, which is the Hebrew words ca’ar. It is the same “whirlwind” that took up Elijah (Jehovah is God) into heaven, and doubly blessed Elisha (God’s Salvation) as he saw (understood) when Elijah was taken up. In this pattern, we see the LORD taken up, and those seeing it receiving the double blessing, which, as we know from our studies, speaks of Ephraim (double blessing) as God people in this latter time. 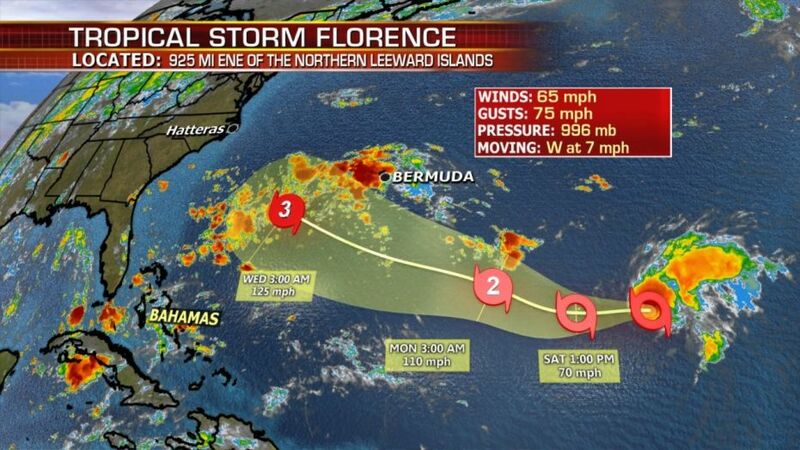 As most know, tropical storm Florence is on a projected course to make landfall on the east coast of the U.S. as a major Hurricane. Friends, God arranged the name, Florence meaning to blossom, as in to flourish into life after a time of inactivity. 27 For as the lightning comes out of the east, and shines even unto the west; so shall also the coming [enlightenment] of the Son of man be. 28 For wheresoever the carcass is [the dead branch], there will the eagles be gathered together. 30 And then shall appear the sign of the Son of man in heaven: and then shall all the tribes [branches and rods] of the earth mourn, and they shall see the Son of man coming in the clouds of heaven with power and great glory. 33 So likewise you, when you shall see all these things, know that it is near, even at the doors [where I stand and knock]. 3 And you shall write Aaron’s name upon the rod of Levi: for one rod shall be for the head of the house of their fathers. 4 And you shall lay them up in the tabernacle of the congregation before the testimony, where I will meet with you. 10 And the LORD said unto Moses, Bring Aaron’s rod again before the testimony, to be kept for a token against the rebels; and you shall quite take away their murmurings from me, that they die not. 1 And it came to pass, when the LORD would take up Elijah [Jehovah is God] into heaven by a whirlwind, that Elijah [Jehovah is God] went with Elisha [God’s Salvation] from Gilgal [from the troubled waters]. 2 And Elijah said unto Elisha, Tarry here, I pray you; for the LORD has sent me to Bethel. And Elisha said unto him, As the LORD lives, and as your soul lives, I will not leave you. So they went down to Bethel. 3 And the sons of the prophets that were at Bethel [the house of God] came forth to Elisha, and said unto him, Know you that the LORD will take away your master from your head [from your understanding] to day? And he said, Yea, I know it; hold you your peace. 4 And Elijah said unto him, Elisha, tarry here, I pray you; for the LORD has sent me to Jericho [the moon, civil government were the wall will fall – and referring to Ezekiel 13:11 & 13 when the wall of the false prophets falls by the (ca’ar) stormy wind]. And he said, As the LORD lives, and as your soul lives, I will not leave you. So they came to Jericho. 5 And the sons of the prophets that were at Jericho came to Elisha, and said unto him, Know you that the LORD will take away your master from your head [your understanding – and in pattern the beheading of John the Baptist] to day? And he answered, Yea, I know it; hold you your peace. 6 And Elijah said unto him, Tarry, I pray you, here; for the LORD has sent me to Jordan. And he said, As the LORD lives, and as your soul lives, I will not leave you. And they two went on. 7 And fifty men of the sons of the prophets went, and stood to view afar off: and they two stood by Jordan [death]. 9 And it came to pass, when they were gone over, that Elijah said unto Elisha, Ask what I shall do for you, before I be taken away from you. And Elisha said, I pray you, let a double portion of your spirit be upon me. 10 And he said, You have asked a hard thing: nevertheless, if you see [understand] me when I am taken from you, it shall be so unto you; but if not, it shall not be so [see John 14 below]. 11 And it came to pass, as they still went on, and talked, that, behold, there appeared a chariot of fire, and horses of fire, and parted them both asunder; and Elijah went up by a whirlwind into heaven [see Amos 1:14, Zechariah 9:14, and Isaiah 29:6]. 15 And when the sons of the prophets which were to view at Jericho saw him, they said, The spirit of Elijah does rest on Elisha. And they came to meet him, and bowed themselves to the ground before him. 16 And they said unto him, Behold now, there be with your servants fifty strong men; let them go, we pray you, and seek your master: lest peradventure the Spirit of the LORD has taken him up, and cast him upon some mountain, or into some valley. And he said, You shall not send. 19 And the men of the city said unto Elisha, Behold, I pray you, the situation of this city is pleasant, as my lord sees: but the water is naught, and the ground barren. 21 And he went forth unto the spring of the waters, and cast the salt in there, and said, Thus says the LORD, I have healed these waters; there shall not be from thence any more death or barren land. 22 So the waters were healed unto this day, according to the saying of Elisha which he spoke. 23 And he went up from thence unto Bethel: and as he was going up by the way, there came forth little children [small minded and young] out of the city, and mocked him, and said unto him, Go up, you bald head; go up, you bald head. 24 And he turned back, and looked on them, and cursed them in the name of the LORD. And there came forth two she bears out of the wood, and tare forty and two children [young men] of them. 25 And he went from thence to mount Carmel [the fruitful (flourishing) garden], and from thence he returned to Samaria [watching position – seeing nothing because of the idols/ideas they worshipped, looking for what will never come because they are their own creations]. The message of Ezekiel 13 is of removing the wall the false prophets have built, which will allow God’s people to see (understand) His work and Him, face to face, with us and in us. The wall is built of their creations, which have become the ideas they teach and worship in place of God. As we know, the LORD says they sew covers over armholes, so His arm doing of His work isn’t seen; and of covering his head with a kerchief, so His face isn’t seen and He isn’t known. He says they are doing this so they can make souls their prey, telling them they will all fly away to safety. The paradox is they are keeping them from the true Salvation the LORD is working before the ignorant eyes of all the world. This not understanding and therefore not seeing the LORD is what He is speaking of in John 14 above, which will occur until His Spirit leads us into all truth. 3 Thus says the LORD God; Woe unto the foolish prophets, that follow their own spirit, and have seen nothing! 4 O Israel, your prophets are like the foxes in the deserts. 5 You have not gone up into the gaps, neither made up the hedge for the house of Israel to stand in the battle in the day of the LORD. 6 They have seen vanity and lying divination, saying, The LORD says: and the LORD has not sent them: and they have made others to hope that they would confirm the word. 7 Have you not seen a vain vision, and have you not spoken a lying divination, whereas you say, The LORD says it; albeit I have not spoken? 8 Therefore thus says the LORD God; Because you have spoken vanity, and seen lies, therefore, behold, I am against you, says the LORD God. 9 And mine hand shall be upon the prophets that see vanity, and that divine lies: they shall not be in the assembly of my people, neither shall they be written in the writing of the house of Israel, neither shall they enter into the land of Israel; and you shall know that I am the LORD God. 11 Say unto them which daub it with untempered morter, that it shall fall: there shall be an overflowing shower; and you, O great hailstones, shall fall; and a stormy [ca’ar] wind shall rend it. 12 Lo, when the wall is fallen, shall it not be said unto you, Where is the daubing wherewith you have daubed it? 13 Therefore thus says the LORD God; I will even rend it with a stormy [ca’ar] wind in my fury; and there shall be an overflowing shower in mine anger, and great hailstones in my fury to consume it. 14 So will I break down the wall that you have daubed with untempered morter, and bring it down to the ground, so that the foundation thereof shall be discovered, and it shall fall, and you shall be consumed in the midst thereof: and you shall know that I am the LORD. 16 To wit, the prophets of Israel which prophesy concerning Jerusalem, and which see visions of peace for her, and there is no peace, says the LORD God. 18 And say, Thus says the LORD God; Woe to the women that sew pillows to all armholes, and make kerchiefs upon the head of every stature to hunt souls! Will you hunt the souls of my people, and will you save the souls alive that come unto you? 19 And will you pollute me among my people for handfuls of barley and for pieces of bread, to slay the souls that should not die, and to save the souls alive that should not live, by your lying to my people that hear your lies? 20 Wherefore thus says the LORD God; Behold, I am against your pillows, wherewith you there hunt the souls to make them fly, and I will tear them from your arms, and will let the souls go, even the souls that you hunt to make them fly. 21 Your kerchiefs also will I tear, and deliver my people out of your hand, and they shall be no more in your hand to be hunted; and you shall know that I am the LORD. 23 Therefore you shall see no more vanity, nor divine divinations: for I will deliver my people out of your hand: and you shall know that I am the LORD. 12 But I will send a fire upon Teman [the south – where is their power], which shall devour the palaces of Bozrah [where he is enclosed/protected]. 15 And their king shall go into captivity, he and his princes together, says the LORD. 1 The burden of the word of the LORD in the land of Hadrach [speaking of a renewed dwelling place – referring us to 2 Chronicles 15:8] and Damascus [in silence and calm] shall be the rest thereof: when the eyes of man, as of all the tribes of Israel, shall be toward the LORD. 2 And Hamath [the fortress] also shall border thereby; Tyrus [the false rock – from which flows death in her waters], and Zidon [to hunt souls], though it be very wise. 4 Behold, the LORD will cast her out, and he will smite [nakah] her power in the sea; and she shall be devoured with fire. 5 Ashkelon [the place of the trail in her fires] shall see it, and fear; Gaza [her means of strength – the treasurers] also shall see it, and be very sorrowful, and Ekron [perish – as a tree pulled up by its roots]; for her expectation shall be ashamed; and the king shall perish from Gaza, and Ashkelon shall not be inhabited. 6 And a mamzer [illegitimate son – only used one other time, Deuteronomy 23:2 – and see Hebrews 12:8 – those who refuse to be corrected] shall dwell in Ashdod [in positions of power], and I will cut off [karath] the pride of the Philistines [those who have brought in foreign ways and ideas, by which they rule]. 7 And I will take away his blood [what is draining their life] out of his mouth [words], and his abominations [their idols] from between his teeth: but he that remains, even he, shall be for our God, and he shall be as a governor in Judah, and Ekron [those that were perishing] as a Jebusite [as the founders of New Jerusalem]. 8 And I will encamp about mine house because of the army, because of him that passes by, and because of him that returns: and no oppressor shall pass through them any more: for now have I seen with mine eyes. 9 Rejoice greatly, O daughter of Zion; shout, O daughter of Jerusalem: behold, your King comes unto you: he is just, and having salvation; lowly, and riding upon an donkey, and upon a colt the foal of an donkey. 10 And I will cut off [karath] the chariot from Ephraim, and the horse from Jerusalem, and the battle bow shall be cut off: and he shall speak peace unto the heathen: and his dominion shall be from sea even to sea, and from the river even to the ends of the earth. 14 And the LORD shall be seen over them, and his arrow shall go forth as the lightning: and the LORD God shall blow the trumpet, and shall go with whirlwinds [ca’ar] of the south. 1 Woe to Ariel [strength], to Ariel, the city where David [whose mind (heart) was after God’s own mind – in agreement] dwelt! add you year to year; let them kill sacrifices. 2 Yet I will distress Ariel [because the enemies have taken and now hold the city], and there shall be heaviness and sorrow: and it shall be unto me as Ariel. 3 And I will camp against you round about, and will lay siege against you with a mount, and I will raise forts against you. 4 And you shall be brought down, and shall speak out of the ground, and your speech shall be low out of the dust [the ashes where man has returned, and from where he is created], and your voice shall be, as of one that has a familiar spirit [as the dead speaking], out of the ground, and your speech shall whisper out of the dust. 5 Moreover the multitude of your strangers shall be like small dust [burned in the fires], and the multitude of the terrible ones shall be as chaff that passes away [as the heaven and earth have passed away, but My word will not pass away]: yea, it shall be at an instant suddenly. 6 You shall be visited of the LORD of hosts with thunder, and with earthquake, and great noise, with storm and tempest [ca’ar], and the flame of devouring fire [all as effects of His word]. 7 And the multitude of all the nations that fight against Ariel [the strength My word restores, says the LORD], even all that fight against her and her munition, and that distress her, shall be as a dream of a night vision. 8 It shall even be as when a hungry man dreams, and, behold, he eats; but he awakes, and his soul is empty: or as when a thirsty man dreams, and, behold, he drinks; but he awakes, and, behold, he is faint, and his soul has appetite: so shall the multitude of all the nations be, that fight against mount Zion. 9 Stay yourselves, and wonder; cry you out, and cry: they are drunken, but not with wine; they stagger, but not with strong drink [but from minds made ignorant by neglect]. 10 For the LORD has poured out upon you the spirit of deep sleep, and has closed your eyes: the prophets and your rulers, the seers has he covered [with their own ways – corrupted and defiled ideas – which is what the LORD is telling them in Matthew 15:7 thru 14, which they are unable to see or understand]. 12 And the book is delivered to him that is not learned, saying, Read this, I pray you: and he says, I am not learned. 22 Therefore thus says the LORD, who redeemed Abraham, concerning the house of Jacob, Jacob shall not now be ashamed, neither shall his face now wax pale. 38 Then certain of the scribes and of the Pharisees [those maintaining the breach] answered, saying, Master, we would see a sign from you. 41 The men of Nineveh shall rise in judgment with this generation, and shall condemn it: because they repented at the preaching of Jonah; and, behold, a greater than Jonah is here. 43 When the unclean spirit is gone out of a man, he walks through dry places, seeking rest, and finds none. 44 Then he says, I will return into my house from whence I came out; and when he is come, he finds it empty, swept, and garnished. 45 Then goes he, and taketh with himself seven other spirits more wicked than himself, and they enter in and dwell there: and the last state of that man is worse than the first. Even so shall it be also unto this wicked generation. 47 Then one said unto him, Behold, your mother and your brethren stand without, desiring to speak with you. The words of the wicked are to lie in wait for blood [meant to drain life from the living]: but the mouth of the upright shall deliver them. Suffer me for a moment as I make a few comments about the Judge Kavanagh confirmation hearing, a staged spectacle, which in fact publicly displayed the unequal standard of the lawless. If the premise of his attackers is that a judge’s ability to determine the validity of opinions based on the law is compromised if their past statements show a partiality, wouldn’t the same be true for investigators? I mean, shouldn’t the same standard apply to the FBI agents who were investigating the Trump campaign, whose documented statements showed a blatant hatred for the target of their investigation? 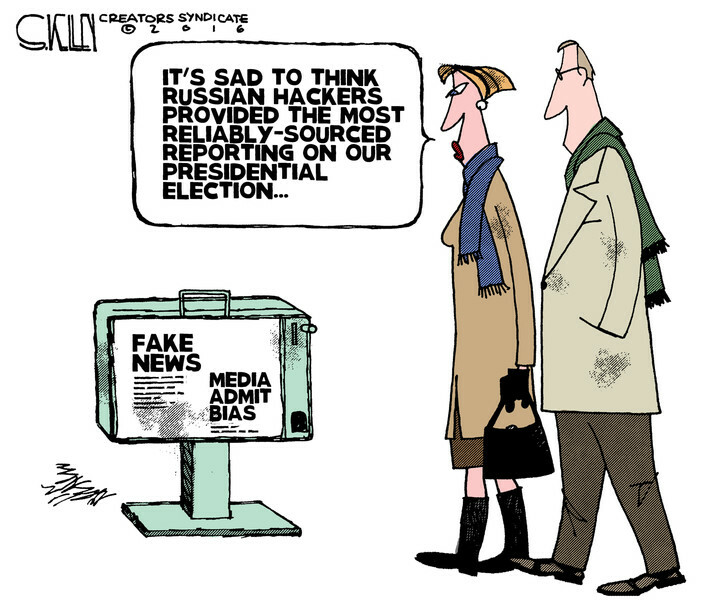 We know these same people fabricated accusations and passed them off as an intelligence document, and used surrogates to push the same document to willing accomplices in the fake news media. We know these same FBI haters then used their fabrications and news reports as the basis to obtain warrants to further spy on an opposition party’s political campaign. Friends, they have no evidence except their lies, and this is why the agents of corruption are focused on process crimes and illegal searches, with which they can by intention create snares that cannot be avoided. They are entrapments justified only by pretense, which should be considered violations of the Fourth and Fifth Amendments. We know this wouldn’t matter to Senator Booker and his ilk, as was demonstrated in their willingness to violate the rules of admissible evidence, and then dare anyone to hold them accountable. This same hubris is as was displayed by the FBI, and is now by the same FBI haters in disguise as the Special Counsel’s office. They think they will never be held accountable for the spectacle, which is meant for nothing more than to be spewed out by their accomplices in the fake news media. Continuing: the title is Provers 12, which is a chapter that speaks of the words of the wicked showing their evil intentions. The acts and intentions of a person are what is judged, the fruit weighed against the spirit of what the law is intended to achieve. Ultimately, justice (righteousness) is what the law is meant to achieve, and when employed for the opposite it destroys people and the civilization of societies. 1 Whoso loves instruction loves knowledge: but he that hates reproof is brutish. 2 A good man obtains favor of the LORD: but a man of wicked devices will he condemn. 4 A virtuous woman is a crown to her husband [as is the church to her LORD]: but she that makes ashamed is as rottenness in his bones. 9 He that is despised, and has a servant, is better than he that honors himself, and lacks bread. 10 A righteous man regards the life of his beast: but the tender mercies of the wicked are cruel. 11 He that tills his land shall be satisfied with bread: but he that follows vain persons is void of understanding. 12 The wicked desire the net of evil men: but the root of the righteous yields fruit. 14 A man shall be satisfied with good by the fruit of his mouth: and the recompense of a man’s hands shall be rendered unto him. 15 The way of a fool is right in his own eyes: but he that hearkens unto counsel is wise. 16 A fool’s wrath is presently known: but a prudent man covers shame. 17 He that speaks truth shows forth righteousness: but a false witness deceit. 18 There is that speaks like the piercings of a sword: but the tongue of the wise is health. 23 A prudent man conceals knowledge: but the heart [the reasoning mind] of fools proclaim foolishness. 25 Heaviness in the heart of man makes it stoop: but a good word makes it glad. 26 The righteous is more excellent than his neighbor: but the way of the wicked seduces them. 27 The slothful man roasts not that which he took in hunting: but the substance of a diligent man is precious. 6 Then shall I not be ashamed, when I have respect unto all your commandments. 8 I will keep your statutes: O forsake me not utterly. 9 Wherewithal shall a young man cleanse his way? by taking heed thereto according to your word. 10 With my whole heart have I sought you: O let me not wander from your commandments. 11 Your word have I hid in mine heart, that I might not sin against you. 12 Blessed are you, O LORD: teach me your statutes. 15 I will meditate in your precepts, and have respect unto your ways. 16 I will delight myself in your statutes: I will not forget your word. 17 Deal bountifully with your servant, that I may live, and keep your word. 18 Open you mine eyes, that I may behold wondrous things out of your law. 19 I am a stranger in the earth: hide not your commandments from me. 20 My soul breaks for the longing that it has unto your judgments at all times. 21 You have rebuked the proud that are cursed, which do err from your commandments. 22 Remove from me reproach and contempt; for I have kept your testimonies. 23 Princes also did sit and speak against me: but your servant did meditate in your statutes. 25 My soul cleaves unto the dust: quicken you me according to your word. 26 I have declared my ways, and you heard me: teach me your statutes. 27 Make me to understand the way of your precepts: so shall I talk of your wondrous works. 28 My soul melts for heaviness: strengthen you me according unto your word. 29 Remove from me the way of lying: and grant me your law graciously. 30 I have chosen the way of truth: your judgments have I laid before me. 31 I have stuck unto your testimonies: O LORD, put me not to shame. 58 I intreated your favor with my whole heart: be merciful unto me according to your word. 61 The bands of the wicked have robbed me: but I have not forgotten your law. 65 You have dealt well with your servant, O LORD, according unto your word. 66 Teach me good judgment and knowledge: for I have believed your commandments. 67 Before I was afflicted I went astray: but now have I kept your word. 69 The proud have forged a lie against me: but I will keep your precepts with my whole heart. 70 Their heart is as fat as grease; but I delight in your law. 71 It is good for me that I have been afflicted; that I might learn your statutes. 72 The law of your mouth is better unto me than thousands of gold and silver. 73 Your hands have made me and fashioned me: give me understanding, that I may learn your commandments. 74 They that fear you will be glad when they see me; because I have hoped in your word. 75 I know, O LORD, that your judgments are right, and that you in faithfulness have afflicted me. 76 Let, I pray you, your merciful kindness be for my comfort, according to your word unto your servant. 77 Let your tender mercies come unto me, that I may live: for your law is my delight. 78 Let the proud be ashamed; for they dealt perversely with me without a cause: but I will meditate in your precepts. 79 Let those that fear you turn unto me, and those that have known your testimonies. 80 Let my heart be sound in your statutes; that I be not ashamed. 81 My soul faints for your salvation: but I hope in your word. 82 Mine eyes fail for your word, saying, When will you comfort me? 83 For I am become like a bottle in the smoke; yet do I not forget your statutes. 84 How many are the days of your servant? when will you execute judgment on them that persecute me? 85 The proud have digged pits for me, which are not after your law. 86 All your commandments are faithful: they persecute me wrongfully; help you me. 87 They had almost consumed me upon earth; but I forsook not your precepts. 88 Quicken me after your lovingkindness; so shall I keep the testimony of your mouth. 89 For ever, O LORD, your word is settled in heaven. 90 Your faithfulness is unto all generations: you have established the earth, and it abides. 91 They continue this day according to your ordinances: for all are your servants. 92 Unless your law had been my delights, I should then have perished in mine affliction. 93 I will never forget your precepts: for with them you have quickened me. 94 I am yours, save me: for I have sought your precepts. 95 The wicked have waited for me to destroy me: but I will consider your testimonies. 96 I have seen an end of all perfection: but your commandment is exceeding broad. 97 O how love I your law! it is my meditation all the day. 98 You through your commandments have made me wiser than mine enemies: for they are ever with me. 103 How sweet are your words unto my taste! yea, sweeter than honey to my mouth! 105 Your word is a lamp unto my feet, and a light unto my path. 107 I am afflicted very much: quicken me, O LORD, according unto your word. 109 My soul is continually in my hand: yet do I not forget your law. 110 The wicked have laid a snare for me: yet I erred not from your precepts. 111 Your testimonies have I taken as an heritage for ever: for they are the rejoicing of my heart. 112 I have inclined mine heart to perform your statutes always, even unto the end. 113 I hate vain thoughts: but your law do I love. 114 You are my hiding place and my shield: I hope in your word. 115 Depart from me, you evildoers: for I will keep the commandments of my God. 116 Uphold me according unto your word, that I may live: and let me not be ashamed of my hope. 117 Hold you me up, and I shall be safe: and I will have respect unto your statutes continually. 118 You have trodden down all them that err from your statutes: for their deceit is falsehood. 119 You puts away all the wicked of the earth like dross: therefore I love your testimonies. 120 My flesh trembles for fear of you; and I am afraid of your judgments. 122 Be surety for your servant for good: let not the proud oppress me. 123 Mine eyes fail for your salvation, and for the word of your righteousness. 124 Deal with your servant according unto your mercy, and teach me your statutes. 126 It is time for you, LORD, to work: for they have made void your law. 127 Therefore I love your commandments above gold; yea, above fine gold. 129 Your testimonies are wonderful: therefore does my soul keep them. 130 The entrance of your words gives light; it gives understanding unto the simple. 131 I opened my mouth, and panted: for I longed for your commandments. 132 Look you upon me, and be merciful unto me, as you uses to do unto those that love your name. 133 Order my steps in your word: and let not any iniquity have dominion over me. 134 Deliver me from the oppression of man: so will I keep your precepts. 135 Make your face to shine upon your servant; and teach me your statutes. 136 Rivers of waters run down mine eyes, because they keep not your law. 138 Your testimonies that you have commanded are righteous and very faithful. 139 My zeal has consumed me, because mine enemies have forgotten your words. 140 Your word is very pure: therefore your servant loves it. 141 I am small and despised: yet do not I forget your precepts. 143 Trouble and anguish have taken hold on me: yet your commandments are my delights. 144 The righteousness of your testimonies is everlasting: give me understanding, and I shall live. 145 I cried with my whole heart; hear me, O LORD: I will keep your statutes. 146 I cried unto you; save me, and I shall keep your testimonies. 147 I prevented the dawning of the morning, and cried: I hoped in your word. 148 Mine eyes prevent the night watches, that I might meditate in your word. 149 Hear my voice according unto your lovingkindness: O LORD, quicken me according to your judgment. 150 They draw nigh that follow after mischief: they are far from your law. 152 Concerning your testimonies, I have known of old that you have founded them for ever. 153 Consider mine affliction, and deliver me: for I do not forget your law. 154 Plead my cause, and deliver me: quicken me according to your word. 155 Salvation is far from the wicked: for they seek not your statutes. 156 Great are your tender mercies, O LORD: quicken me according to your judgments. 157 Many are my persecutors and mine enemies; yet do I not decline from your testimonies. 158 I beheld the transgressors, and was grieved; because they kept not your word. 159 Consider how I love your precepts: quicken me, O LORD, according to your lovingkindness. 160 Your word is true from the beginning: and every one of your righteous judgments endures for ever. 161 Princes have persecuted me without a cause: but my heart stands in awe of your word. 163 I hate and abhor lying: but your law do I love. 165 Great peace have they which love your law: and nothing shall offend them. 168 I have kept your precepts and your testimonies: for all my ways are before you. 169 Let my cry come near before you, O LORD: give me understanding according to your word. 170 Let my supplication come before you: deliver me according to your word. 172 My tongue shall speak of your word: for all your commandments are righteousness. 173 Let your hand help me; for I have chosen your precepts. 176 I have gone astray like a lost sheep; seek your servant; for I do not forget your commandments. 3 If so be you have tasted that the LORD is gracious. 5 You also, as lively stones, are built up a spiritual house, an holy priesthood, to offer up spiritual sacrifices, acceptable to God by Jesus Christ. 20 For what glory is it, if, when you be buffeted for your faults, you shall take it patiently? but if, when you do well, and suffer for it, you take it patiently, this is acceptable with God. 24 Who his own self bare our sins in his own body on the tree, that we, being dead to sins, should live unto righteousness: by whose stripes you were healed. 25 For you were as sheep going astray; but are now returned unto the Shepherd and Bishop of your souls. 7 He was oppressed, and he was afflicted, yet he opened not his mouth: he is brought as a lamb to the slaughter, and as a sheep before her shearers is dumb, so he opens not his mouth. 10 Yet it pleased the LORD to bruise him; he has put him to grief: when you shall make his soul an offering for sin, he shall see his seed, he shall prolong his days, and the pleasure of the LORD shall prosper in his hand. 12 Therefore will I divide him a portion with the great, and he shall divide the spoil with the strong; because he has poured out his soul unto death: and he was numbered with the transgressors; and he bare the sin of many, and made intercession for the transgressors.